Around The Sound pres Richard Gerver: Minding Your Own Business. 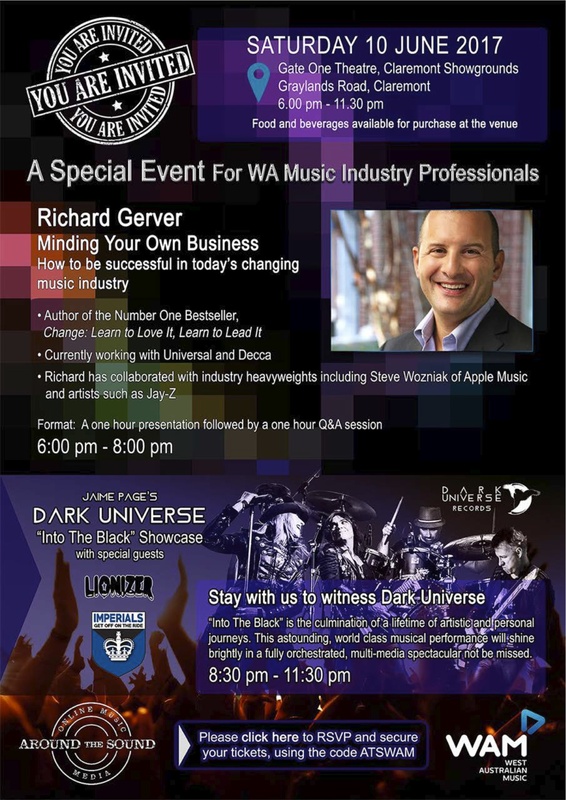 Supported by WAM, new online music media Around The Sound invites you to a very special event with Richard Gerver along with a celebration of the creativity, diversity and brilliance of WA original music with Jaime Page’s Dark Universe, Lionizer and Imperials. 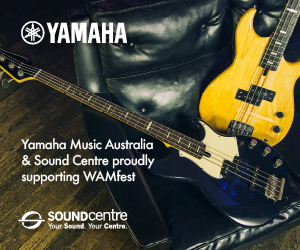 Better still, if you’re a WAM Member, we have a limited number of free tickets with + 1s to both (details at end of this)! How to be successful in today’s changing music industry. 6.00pm – 8.00pm – one-hour presentation followed by a one-hour Q&A session with Richard Gerver. 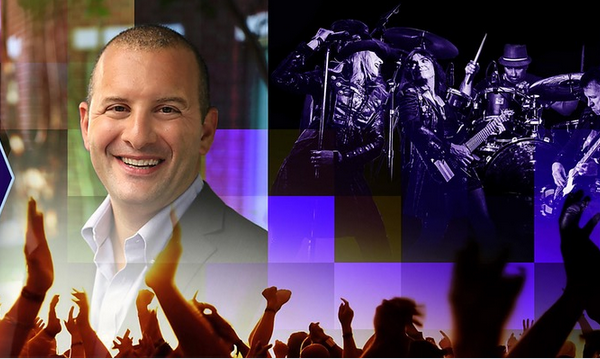 Number one best-selling author and award winning speaker, Richard Gerver has worked with a variety of music industry leaders in the UK including senior leaders at Universal and Decca as well as the legendary Nick Raphael at Capitol Records. Richard advises music industry leaders on how to lead change in a fast changing industry that has, in recent history, not been agile enough to lead itself through times of technological change. In his newest book, Simple Thinking, Richard includes insights into the early success of global artists such as Sam Smith and JayZ, exploring the behaviours behind their sustained and global achievements. 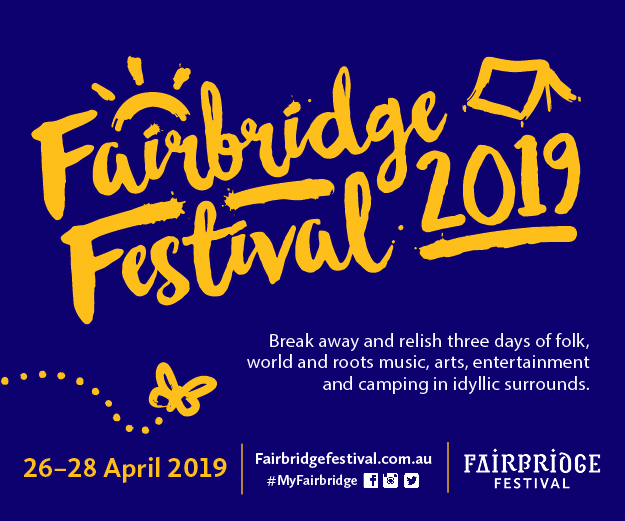 While in Perth, Richard will share his insights into the music industry and discuss with participants how to be an entrepreneur when managing your career in the music industry. 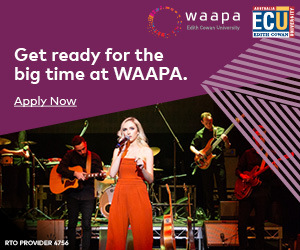 A study conducted by Edith Cowan University for WAM found that the WA music Industry is worth almost $1 billion per year. Come along and learn how to secure your slice of the action? Stay to witness the emotional and musical journey that is Jaime Page’s Dark Universe. Dark Universe is the culmination of a lifetime of artistic and personal journeys and the music and performance will shine brightly in a fully orchestrated, multi-media spectacular. This is a night of music and performance you won’t want to miss! Food and beverages will be available for purchase at the venue.